On the 1st day of cleansing, I vowed to bust a move each day for the entire 10 days of the Cleanse for Life program led by Dr. Jodi Larry, ND. Some days I practiced yoga, some days I went for long walks. I love walking the streets with my music. Up the Casa Loma stairs, through the ravine, across the U of T campus. All I need is my sneakers, my water bottle and jojo flores’ “Think” series. 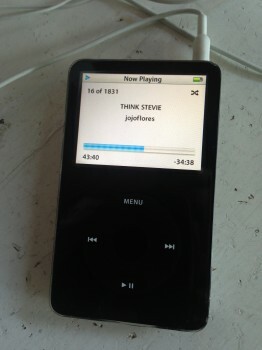 If Think Stevie and Think Marvin don’t make you move, I don’t know what will. They were the soundtrack of my cleanse. On the 2nd day of cleansing, I started living by the mantra “when life gives you lemons, make lemon water.” Every morning since then, I start my day with a tall glass of water with fresh-squeezed lemon juice and cayenne pepper. 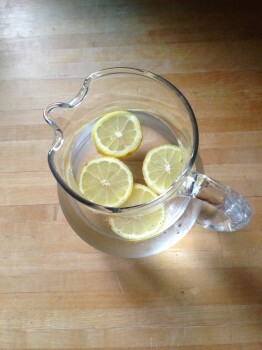 Some days I sip on refreshing lemon water (minus the cayenne) all day long. And why not? Lemon—chock-full of vitamins C and B6—is a strong digestive aid and a powerful liver cleanser and detoxifier. 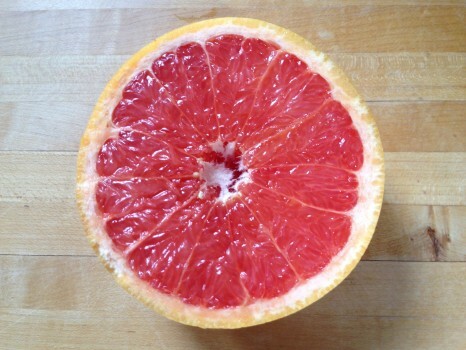 While we’re on the topic of citrus, sweet, juicy pink grapefruit always makes me happy and also helps curb my sugar cravings. Not only is grapefruit packed with vitamin C, it’s also full of fibre, much appreciated by those living the gluten-free life. 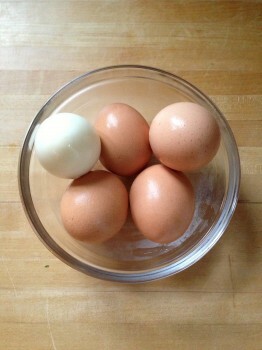 On the 3rd day of cleansing, I hard-boiled a bunch of eggs for a handy protein hit. 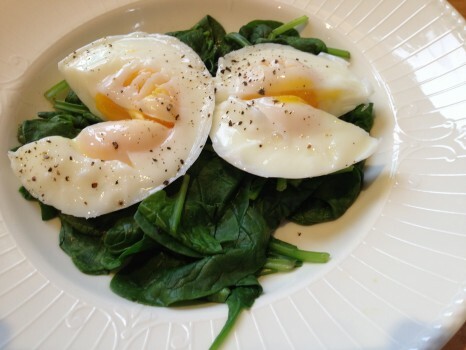 Some days I got fancy and poached a couple of eggs on a bed of spinach. Protein, check. Greens, check. 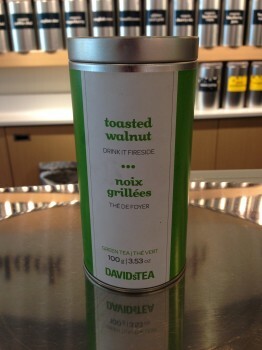 On the 4th day of cleansing, I bought a big canister of my favourite toasted walnut green tea from DAVIDsTEA. I sip it every morning, straight up. 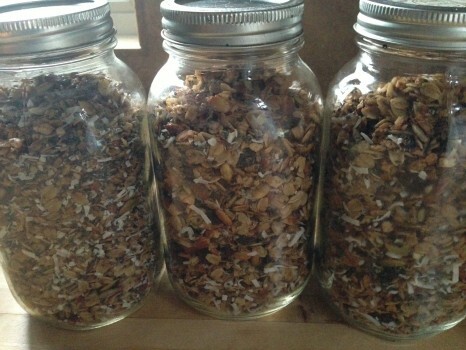 On the 5th day of cleansing, I made gluten-free granola and enjoyed it with almond milk. There’s nothing like the smell of fresh-baked granola wafting through my house. 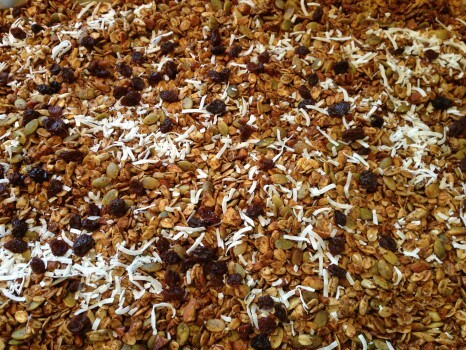 This granola is very addictive! But I was nice and shared with others. 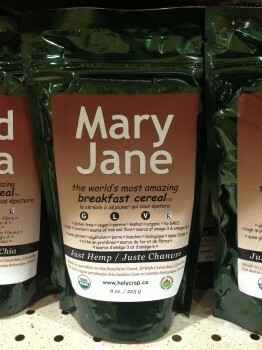 On the 6th day of cleansing, I sprinkled Mary Jane on my salad. No, it’s not what you’re thinking. These organic, non-GMO hulled hemp seeds are chock-full of essential fatty acids and contain all 20 amino acids. And, Holy Crap, they make everything taste so good! I’m also a fan of their Wild Chia and put 2 tbsp of the seeds into my protein shake every morning. 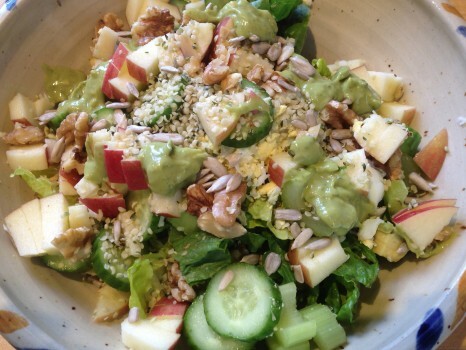 My “everything but the kitchen sink” salad: romaine lettuce, cucumbers, celery, avocado, grated hard-boiled egg, diced apple, walnuts, sunflower seeds and hemp seeds with Dr. Jodi Larry’s nutrient-rich Green Goddess dressing. What else would you add to this salad? On the 7th day of cleansing, I Skinny-dipped! In other words, I turned up the HEAT with enerjive‘s Quinoa Skinny Crackers, a fiery garlic-cayenne accompaniment to Sunflower Kitchen‘s smooth and creamy hummus. 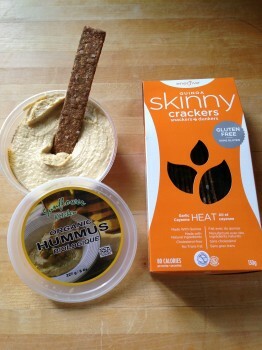 If you can’t stand the HEAT, I highly recommend enerjive’s rock salt CRAVE crackers. 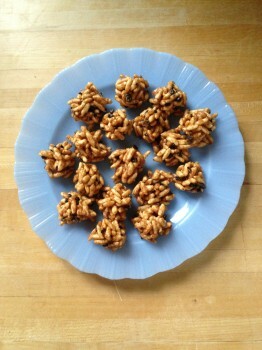 On the 8th day of cleansing, I almost ate this entire plate of almond butter rice puff balls with cacao nibs. Cacao is sugar free and one of the highest food sources of magnesium, which helps ward off PMS. I get my nibs and other dark chocolate delights from ChocoSol Traders. On the 9th day of cleansing, I got a lip-smacking Green Kick at Live Organic Food Bar: pear, kale, lemon, ginger and dandelion. 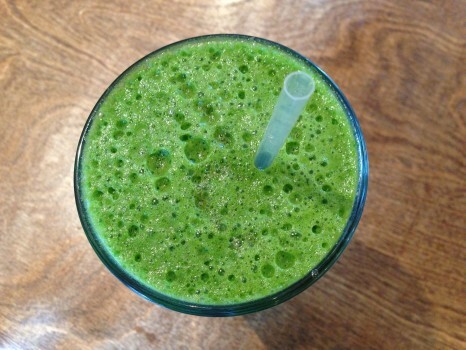 I’m not a big fan of green juices but this won me over! 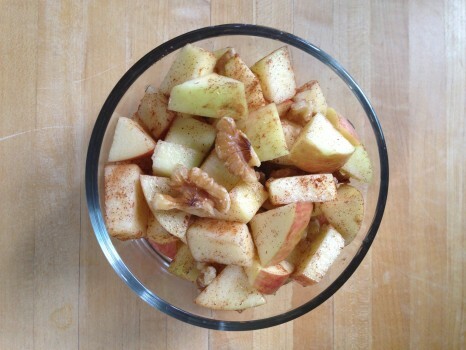 On the 10th day of cleansing, I fell in love with this deconstructed apple crumble, or haroset for those in the know (a sweet Jewish dish made of fruit and nuts that’s served on Passover): diced apple, walnut pieces, fresh lemon juice and cinnamon. The perfect snack for that 4 o’clock slump.